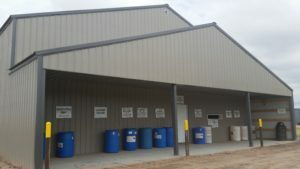 A grant from the Hansen Foundation matched local grant to build a new recycling center in this NW Kansas community. As a result of the ease of dropping off recyclable materials, more people in the community are recycling. Now more waste is being recycled, helping to extend the lifespan of the county waste landfill.